It occurred to me one day I needed to see my spine specialist. When you deal with chronic pain, you learn to ignore it most of the time. Unless you want to wind up addicted to pain killers, it’s the only option. It’s not bravery. It’s a practical decision. Do I want to keep participating in life? Then I have to deal with what I have to deal with. That’s the way it goes. At the time, I thought her statement was bizarre. It turned out she had treatable but advanced tendonitis and it got better. She hated doctors. Time marched on. I’m older than my mother was then. I totally relate to her response. When I called the doctor for an appointment, I discovered the last time I saw him was more than six years ago. To be fair, I’ve had a few medical crises since then and I got distracted. Besides, I know what’s wrong with my back. It isn’t going to kill me. I’ve lived with it most of my life. I’m used to it and do my best to ignore it. Recently, though I’m having trouble walking, even on flat surfaces and going up and down stairs is especially difficult. It crossed my mind there might be something he could do — some medical magic — to improve me without major surgery. I already know surgery isn’t an option. My doctor is wonderful. The best. The only doctor who can look at my spine, not gasp with horror and immediately decide I need to be rebuilt with screws, pins, and bolts. He’s a minimalist, medically speaking. I like that. I made an appointment and got lucky because there was a cancellation. It usually takes five or six months to get to see him, but I only had to wait a few weeks. He’s the king of spines in Boston, maybe in the country. I would have willingly waited six months if I had to. Of course, as soon as I made the appointment, I had to make another appointment because I need new films of my spine. I also haven’t had a CT scan or MRI in six years and he isn’t going to be able to do much without new films. I wondered how come I hadn’t processed the fact I can’t walk normally? I suppose I wasn’t paying attention. I was busy ignoring pain. She meant it. I grew up believing giving in to pain was a weakness. To a degree it serves me well, but sometimes it’s dangerous. If you ignore the wrong stuff, it can kill you. One needs to find balance, but it isn’t so easy. Watching a documentary on Ethel Kennedy reminded me of my mother, minus all the money. Mom was an athlete. I’m sure she wondered how she wound up with such a klutzy daughter. She had been a good tennis player. She rode horses, she played ice hockey. She went bob sledding. She painted, sculpted, designed and made her own clothing. She also never got past seventh grade, so she made up for it by reading everything. She had a truly voracious appetite for life and knowledge. After a radical mastectomy, she couldn’t play tennis anymore, so she played a ferocious game of ping-pong. She played savagely. She served so hard it was more like a bullet than a ping-pong ball. As a family, we vacationed in dinky little resorts in the Catskills where there was no entertainment. The one thing they always had was a ping-pong table. So I played against my mother. I’m in the middle, Mom and my sister Ann are on the right. Code Red. She didn’t believe in any of that “let the kid win” stuff. She was a competitor. You won or lost. Trying hard was irrelevant because she expected nothing less. She slaughtered me. As I got older, I played better but she always beat me. She told me she was giving me an advantage by playing with her left hand. I knew she wrote with her right hand, so I assumed she was a rightie. Until the day my aunt told me she had always played tennis with her left hand. My mother was psyching me out. Her own daughter. I never beat her, but I beat everyone else. She passed me her determination to never give up, to do everything I could as well as I could. Later in life, I realized I didn’t always have to be the best. Playing a game for fun is worth something too. Another lesson learned a bit late. So I went to my doctor and he told me there was nothing he could do except reduce the pain. Temporarily. No fix. No drug. It is what it is. Progressive. Irreversible. I sighed and accepted it. I had hoped there was something he could do. Not to be. We all miss stuff. Some of it intentionally, more accidentally. Sometimes, I miss important something because I’m busy ignoring something else. I am an apple. Mom was my tree. I fell, but not far. What an amazing story about your mom. My mom suffered in silence for years too, and she was an RN. What her symptoms ended up being was pancreatic cancer and there’s nothing you can really do for that, at least there wasn’t in 1987. Stoic, that’s what they were, those women of a certain age that lived through the depression. She saved buttons, could knit, sew, bake everything from scratch, but she always told me about money, “it’s only money” when she would buy me something expensive. And here you are suffering too, when there are new treatments that might help! We have a ping pong table and my sweet tugboat man plays with his left hand too, and still wins me every time. And he’s not left handed either! I never win, and that’s OK with me. I just like playing the game. Thanks. I too come from a cancerous part of the family tree with a garnish of heart disease. My brother died of pancreatic cancer five years ago. There still isn’t much they can do about it unless by pure luck they catch it very very early … and by the time there are symptons, it’s already too late. Most tumors grow between the liver and pancreas. There are no tests to detect it, so if it gets discovered, it’s usually because they were looking for something else. Losing my brother was bad. Losing my mother to cancer (breast cancer, metastasized) was bad too. GETTING cancer was no picnic, but weirdly, after my mother, brother and both maternal grandparents, I was more or less expecting it. It’s not uncommon (as it turns out) for people to be ambidextrous — or switch-hitters — in sports. My husband also writes with his right hand, but throws with his left. 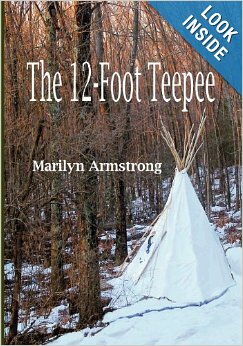 I really enjoyed reading this Marilyn! Thanks. It hink after thirty plus years, I can finally write about my mother again without crying. It has taken that long. The faces in that photo tell their own stories. The Women…. the men. Miss you. As soon as I stop coughing … and you can stand up without falling over … and Garry gets a little less wobbly … BEFORE Christmas? I need you my friend. I need to hear you laugh. I need to see your face. I miss you SO much! It’s ironic. I watch all the classic Hollywood films about heroes and heroines. Time and time again until I feel I know them. Your Mother was a REAL heroine. I hardly got to know her. My loss. Timing. By the time you were around, she was in Florida. Mom died in 1982 and I still miss her. Sometimes I “glitch” and think I’m going to just call her and chat. Then I remember. I have been there many times. My mom just passed away in 2010 and it seems like yesterday. Your mum sounds like she was such an amazing woman, teaching you some very valuable lessons to help you on your way through life.